Carol joined the company in 1992 having spent some time working in various offices around Aberdeen in administration and recruitment. Initially, she was responsible for all administration matters and as the company developed, she became fully responsible for running the company and organising training. 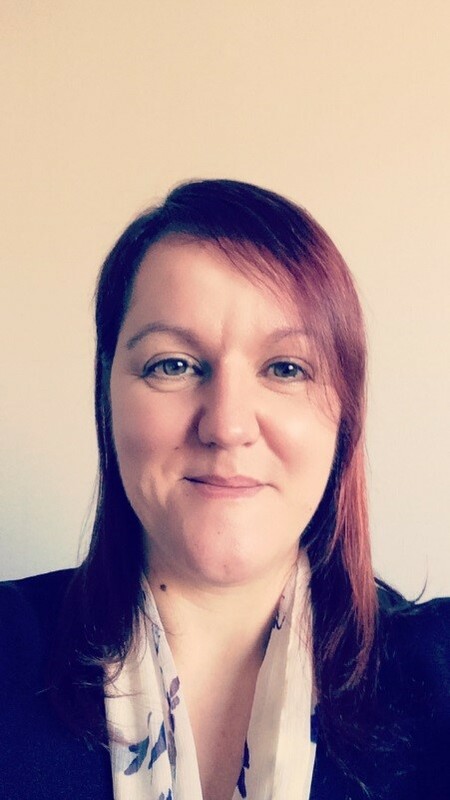 Carol became a director in 2006 and has continued to develop her knowledge of plant machinery and training and now successfully controls quality assurance, client accounts and delegating work to staff. Her interpersonal skills, working knowledge and down to earth attitude makes Carol a valuable asset to the company. 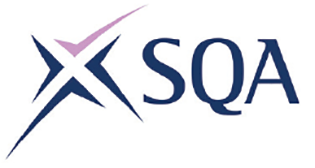 Carol wants to continue to grow the business, building on the high quality training provision whilst ensuring great value and educating clients, employees and individuals to drive up the standards of mechanical skills and safety in the workplace across Scotland. Funniest Moment: Being "un-seated" by a beautiful horse after a gallop on Lossiemouth beach. It stopped, I didn't. Sore but funny! 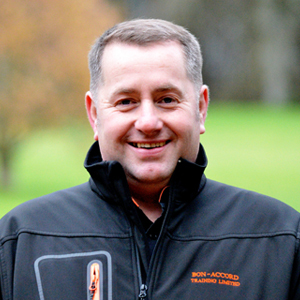 Iain joined Bon-Accord Training in 1999 having spent three years in the Army as a plant operator. Prior to this he worked in the construction industry for a number of years and is a highly enthusiastic instructor and excels in motivating candidates during training. 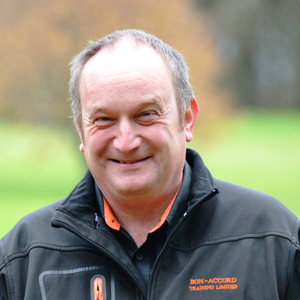 His role within the company is both as an instructor and assessor in all disciplines. His expert practical skills and knowledge of construction equipment and the ability to teach the subject makes him an integral member of our team. Key Role: A link between the awarding bodies, work on-site and management for the development and maintenance of training standards. Special Skill: Applying training standards in multiple industries that are practical and effective. Aspirations: Introducing the art of Zen to operating heavy plant. 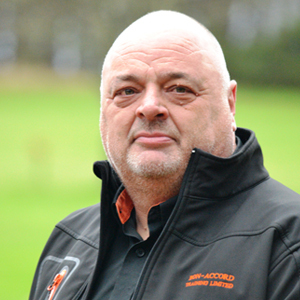 John has been with the company since 2004, joining from a production process and maintenance background. He gained most of his plant experience in the Territorial Army yet has also been involved in warehousing and distribution. His instructional role within the company draws on his forklift and lifting operations experience both as an operator and a supervisor. His practical skills and knowledge of these operations is an asset to our company. Key Role: To train, test and assess trainees/candidates on a variety of plant equipment to industry accredited standards and levels. Special Skill: Nobody can slice a golf ball like me! Proudest Achievement: Seeing my children's achievements whether its winning football trophies, representing the city at sport, becoming school captains and prefects or going on church missions. Funniest Moment: Reversing over a lamppost with a drot after a plant show many years ago. Aspirations: To move to the countryside. Key Role: Providing lift truck and overhead crane training. Special Skill: I have an engineering background which spans 35 years. This experience, predominantly in oil and gas, enables me to identify with candidates needs and deliver a hands-on training approach for the courses we provide. Memorable Moment: Passing my motorbike test. Proudest Achievement: Being a proud father to my two great children. Funniest Moment: Too many to mention but working with the team at Bon-Accord Training is always a great laugh when we are all together. Aspirations: To keep doing what I am doing. I thoroughly enjoy training, it's a very rewarding job. Louise started with Bon-Accord Training Ltd. in April 2014 after a long career in student admissions and project management at The Robert Gordon University. Following a brief dalliance with primary teaching (not her thing!) she joined us part-time to fit around her family. 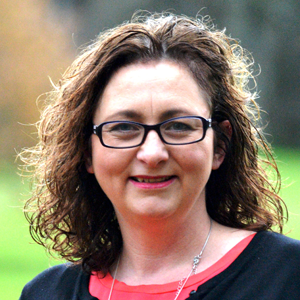 Louise's strengths include customer relations, spreadsheets and SQA policies. Key Role: Training Co-ordinator. I advise on training courses and availability, booking courses and preparing joining instructions, paperwork and certification. Memorable Moment: Finding out after a few weeks of working at Bon-Accord Training that Carol was engaged to my cousin! Proudest Achievement: My children. In a professional capacity being appointed Head of Admissions at RGU at the age of 27 (before the children!). Funniest Moment: With three kids there are too many! But not long after starting with Bon-Accord Training I was convinced someone was pulling my leg (or they were possibly insane) when they asked for rubber duck training. I now know this is a 360° Wheeled Excavator. Aspirations: In the words of my favourite singer "it was in love I was created and in love is how I hope I die."